Yenilik – populyar bankların esas valyuta mezenneleri! #1 CURRENCY CONVERTER+CALCULATOR IN AZERBAIJAN! Manat Converter by Start Interactive Agency is the most simple to use, fast and yet powerful currency converter ideal for anyone traveling to Azerbaijan. It features daily updates of over than 160 world currency rates and has beautiful, user-friendly interface. If you are traveling to Azerbaijan there is no better way to know exact exchange rate between Azerbaijan Manat and your currency. Just choose your home currency and instantly convert prices with up-to-date rates automatically downloaded every day FOR FREE. NO ADDITIONAL PURCHASES REQUIRED. 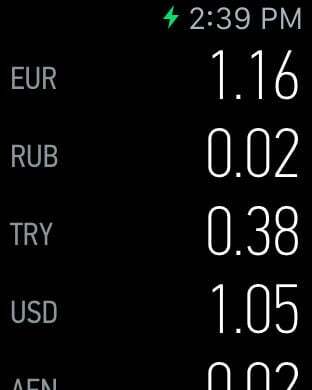 Manat Converter is totally free.